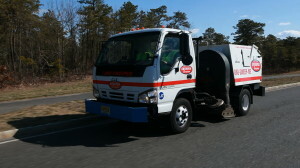 Looking for a reliable street sweeping company in New Jersey? Named “Street Sweeper of the Year”, C&L Services has been street sweeping parking lots, streets and construction sites since 1971. Not only are our street sweeping services eco-friendly, but our equipment and personnel is top notch. As a result, your property will retain its pristine appearance that will impress customers and help maintain the value of your property. Throughout NJ, C&L Services also ensures we will work with you and schedule your sweeping maintenance at times that are convenient for you and your customers. 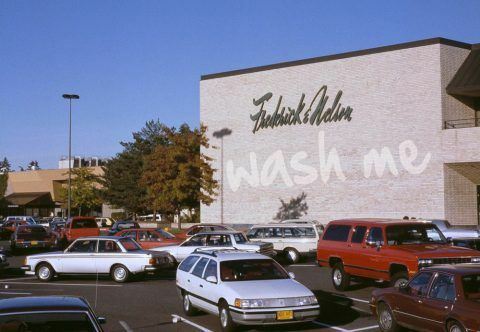 We have specialized equipment including scrubbing machines for parking garages. To schedule parking lot maintenance, contact us through the form below. C&L Services has a proven track record of timeliness, professionally trained crews. – We can work within your municipal or construction sweeping budget. – We provide a complete complement of daily, weekly, monthly or on-call sweeping programs. – We know ‘BMP,’ ‘NPDES,’ ‘Clean Air Act,’ ‘Clean Water Act,’ and ‘PM10.” Did you know street sweeping has been defined as a ’best management practice’ by the EPA. – Storm Water Run Off – Following best practices for water reclamation, we offer solutions such as installing storm drain catch basins and sweeping paved surfaces on a frequent basis. We understand important policies, such as ‘BMP,’ ‘NPDES,’ ‘Clean Water Act,’ and ‘PM10.” Did you know street sweeping has been defined as a ’best management practice’ by the EPA? If you are doing site work, a milling operation, or installing new pavement, C&L Services can partner with you to insure success. 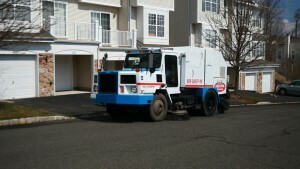 Construction sweeping is one of the most demanding types of sweeping. 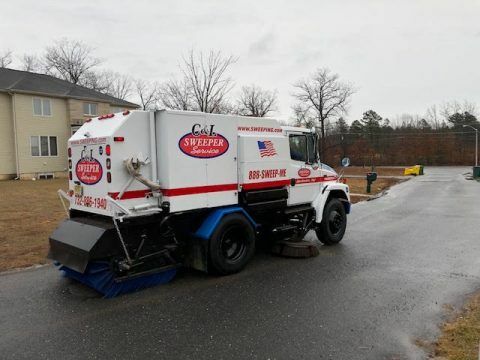 Be sure to hire the right sweeping contractor that can deliver the right sweeper, with the right operator, each and every time. Keep your communities looking great! We can set up sweeping at regular intervals to help protect and maintain your properties appearance. More than 30 Sweepers & Related Equipment: C&L Service’s large fleet of sweepers guarantees a timely response to your sweeping needs. 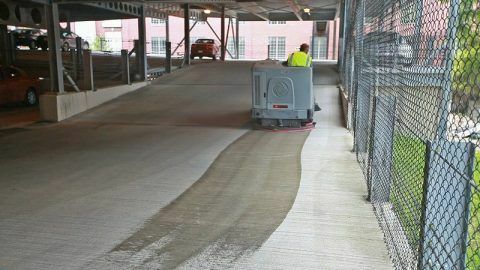 Onboard GPS systems provide ‘proof positive’ when and how sweeping was done. 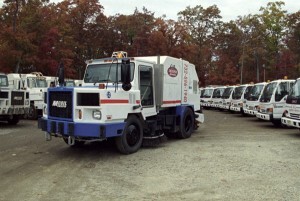 C&L Sweeper Service outfits most of the vehicles in its fleet, including its sweepers, with real-time GPS systems. Record for Timeliness: C&L Service is proud of our record of completing street sweeping, street cleaning and parking lot scrubbing projects in a timely manner. C&L’s 97.4%-on-time record is unmatched, and we work hard to maintain this level of service. Radio Dispatch: All our vehicle operators maintain ongoing communication with our central office. You’re not only getting a sweeper but a team of professionals who work together to ensure that your project is done correctly. 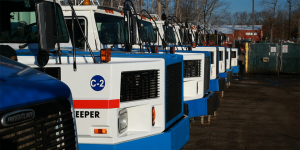 Service Repair Team: At C&L Services, our sweepers are maintained by a professional team to keep downtime to a minimum and service quality at the maximum. Quality Guarantee: C&L Services stands behind all our services. Your satisfaction is our most sweeping concern. Why you should sweep cities?